Born in Providence, Rhode Island, Jeffrey Osborne was the youngest of 12 children and was surrounded by music as he was growing up. He had five brothers and six sisters, some of whom went on to have music careers. His father, Clarence “Legs” Osborne, was a popular trumpeter who sat in with the likes of Lionel Hampton and Duke Ellington and turned down many top band offers during his career to be with his family, he passed away when Jeffrey was only 13. At the age of 15, Jeffrey sat in with the O’Jays when the drummer was unable to perform to their standards, and went on to play with them for two weeks. That was all the inspiration Osborne needed to pursue a musical career. Osborne’s solo career has brought him four grammy nominations, five gold and platinum albums, including his debut self entitled album ” Jeffrey Osborne”, “Stay with Me Tonight” and “Only Human”.He scored an international hit with “On the Wings of Love” in 1982. 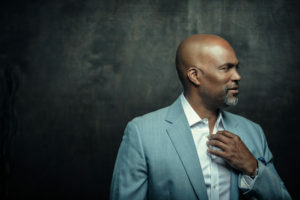 After his six albums released on A&M during the ’80s, he moved to Arista for Only Human (1990), then switched to a series of independent labels. 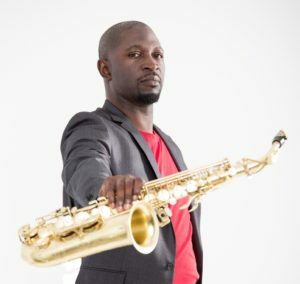 His releases during the 2000s included ” That’s for Sure” (2000) and “Music Is Life” (2003), as well as cover albums ” From the Soul “(2005) and “A Time for Love” (2013). His latest project entitled “Worth It All” is being released in 2018 on Artistry Music. 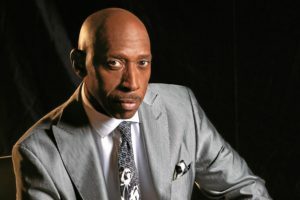 This project was written and produced by Jeffrey Osborne, with the exception of one song entitled ” Work It” which was co-written with his son Jeffrey Osborne Jr. who also performed on the track with him. This project, inspired by the late great George Duke has taken Osborne back to his deep R&B roots. AVERY*Sunshine is an American singer and actress. In the summer of 1993, Mike made his presence felt on the music scene with his now legendary debut performance at the well-known New York City jazz & R&B spot, Wilson’s. Invited there by a friend who was playing keyboards with the house band, Mike literally walked on stage and, much to the surprise of the band leader, began to blow before anyone asked him to sit in. The looks of bewilderment quickly turned to smiles and the rest, as they say, is history. In 1996, Mike was invited to perform at President Clinton’s Inaugural Gala held at The Kennedy Center in Washington, DC. Other milestone events include the 80th Birthday Celebration for President Nelson Mandela in South Africa, a Superbowl appearance with Wonder, and the Billboard Music Awards. 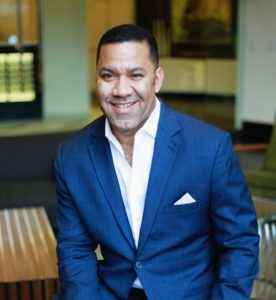 Mike’s television credits include Saturday Night Live, The David Letterman Show, BET On Jazz, BET Sound Stage, and The Tonight Show. Jhonson brings all of her many talents to bear as soul-lifting spiritualist, next-gen feminist inspiration, big-picture band leader and, Philly street-corner rhythmist; building on a foundation of straight-ahead jazz, R&B, Funk and Gospel. Let’s learn a little about HerStory… born and raised in the city of Philadelphia, Gail’s fascination with the endless possibilities of the piano began at the young age of 10. By 14, Gail had played her first professional gig, starting her on a journey that has seen her travel the world, touching lives through her gift of music. From her humble beginnings on the streets of Philly to the height of her success on the stage and in the studio, Gail Jhonson has lived a life fully committed to music. The next chapter in HerStory saw Gail graduate from the Berklee College of Music, with a B.A. in Composition. Gail made the move west, to Los Angeles, where she established herself in the vibrant heart of the music industry. Gail’s impressive resume as a recording artist and touring musician includes appearances with such notables as Norman Brown, Mindi Abair, Bobby Womack, Ray Parker jr, Pink, Milli Vanilli, Morris Day (Time) & Rain Pryor. TV apearances on The Jay Leno Show, BET, several videos, Gospel Theatre, Jazz Festivals with Cindy Bradley, Peabo Bryson, Jeff Lorber, Patti Austin, Marion Meadows and so many others! 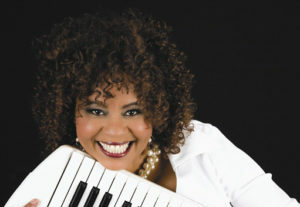 To give you some more background to Her Story, in 2009, Gail’s CD Pearls garnered the nod in the 51st Annual Grammy Awards, a featured artist on the SummerStorm Tour, hosted by Norman Brown, for whom she has been music director for many years. Gail leads the all female ensemble “Jazz in P!nk”, featuring such artists as Karen Briggs, Althea Rene & Mariea Antoinette. She has her own band “3 Piece Suit” in Los Angeles. She is an educator and author of 3 music method books; also composer for the musical Overcome, Overjoyed-showing at The El Portal Theatre/North Hollywood. On 2012 tours with 3 Piece Suit, Jazz in Pink and Norman Brown-Gerald Albright Summer Jam. 2013 looking good, her daughter is attending Berklee College of Music. Jazz in Pink released a Christmas single in 2012 and new CD released, entitled “1st Collection” Feb 2014!! Jazmin Deborah Ghent is a national jazz and gospel recording artist born in Heidelberg, Germany and currently residing in Central Florida. She was recently voted Best New Artist of 2017 by the Smooth Jazz Network. 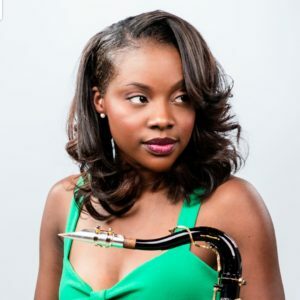 She graduated from Florida State University with a Bachelor’s Degree in Music Education/Jazz Studies and Tennesssee State University with a Master’s Degree in Music Education. She currently teaches elementary music in the POLK COUNTY School System in Florida. 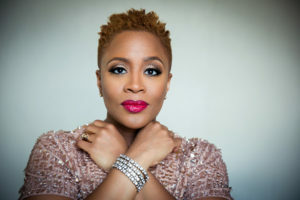 Jazmin’s debut CD, “Boss” was released in June, 2015 and her current CD, “Chocolate Sunshine” was released on September 1, 2016. The hit single, “Compared to What” gained national recognition and was #5 on Smooth Jazz Charts. It received over 400 spins per week including airplay on Sirius XM radio as well as Music Choice, Pandora and Spotify. Her second hit from the Boss Cwas the title song, Boss. Both tunes were in the top 100 songs for 2015. She currently has 3 hit singles from her current CD, “Chocolate Sunshine” – Chocolate Sunshine, Games and her current release “Hello”. She has performed with Norman Brown, Nick Colionne, Ronnie Laws, Kirk Whalum, Brian Simpson, Julian Vaughn, Nicolas Cole, Lin Roundtree and Jazz in Pink, Mindi Abair, Peter White, David Sanborn, Marion Meadows and country artist Keith Urban. Jazmin was the winner of the “Show Your Talent” contest on the Smooth Jazz Cruise 2014 where she opened for the Sirius XM Hall of Fame Ceremony hosted by Marcus Miller. Her true passion is music!